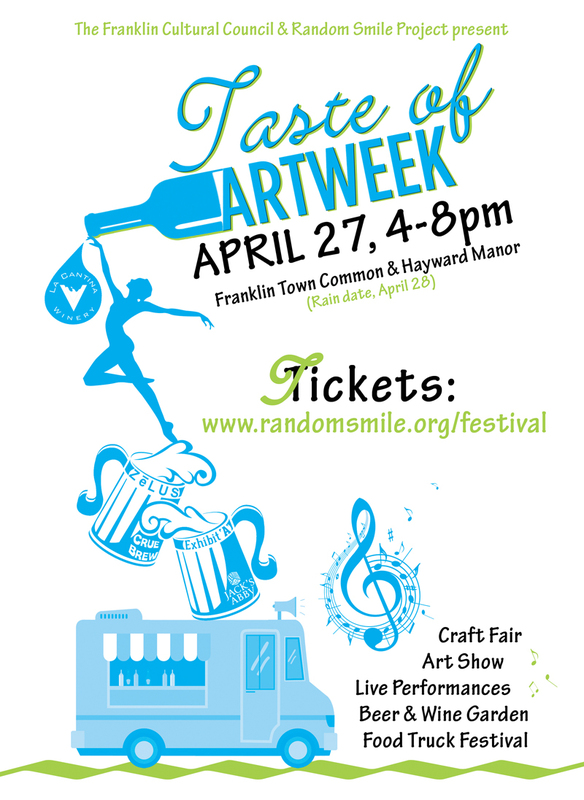 Franklin Matters: Taste of ArtWeek tickets now on sale! Food trucks, beer & wine garden, live performances, craft fair, art show and more! Food truck and beer garden tickets are now available online! For more information, the performance line up, or to purchase tickets, go to https://randomsmile.org/festival! Are you a crafter? We have just 4 booths left available in the craft fair! Download the fair information here. Copyright © 2019 Franklin Cultural Council, All rights reserved.